Everything we tasted was absolutely delicious. The sriracha grilled salmon was a delightfully light and beautiful dish featuring raw zoodles, edamame, avocado and an aromatic herb dressing and fried basil. 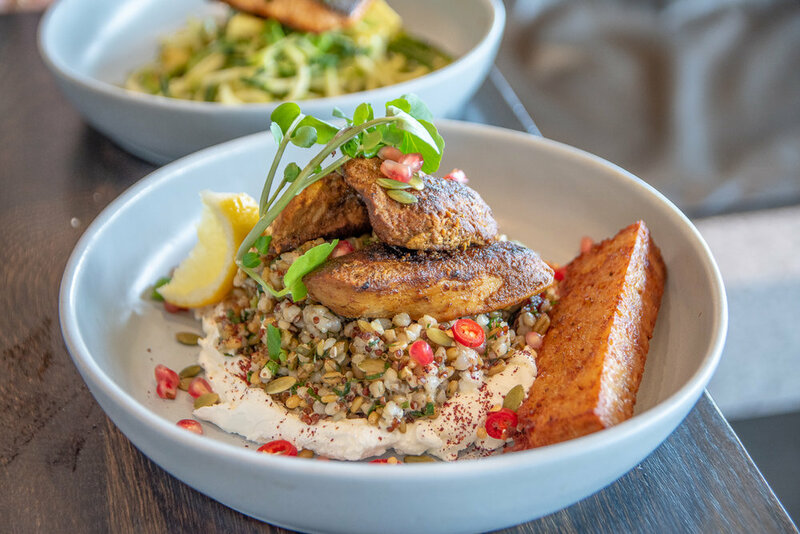 For something heartier and perfect for the cold Melbourne weather, the chicken and grain salad is a must. We loved the tender morsels of chicken surrounded by Middle Eastern inspired flavours. Simply lovely.